I used two field recording sounds from Christophers piece which were recorded by a river and inside the city of Detroit. It made me think of darkness and cold weather which I decided to contrast with sounds I recorded at the seaside in San Francisco when I visited there some years ago - it's like the atmosphere is changing from North to South, from darkness to brightness. 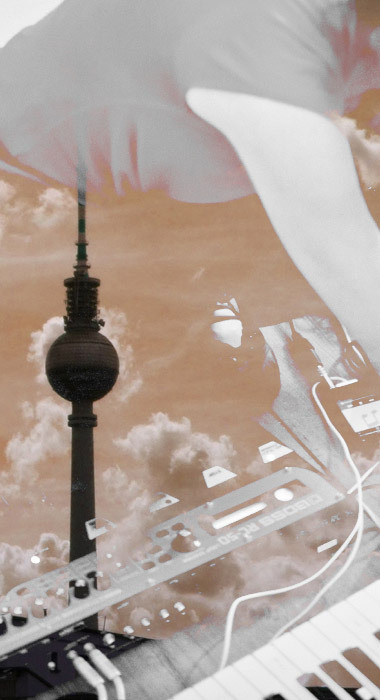 I also included some beats and harmonies towards the end which are more rigid and grid-based, which is a closer reflection of how I feel in Berlin where I'm currently living. I've decided for the title to be "From North to South, then heading East". Like traveling a long distance over a small passage of time. Midori Hirano is a musician, composer, sound artist and producer, born in Kyoto/Japan and now based in Berlin/Germany. A native to Kyoto, Japan but making the creative pilgrimage to Berlin in 2008, her productions are based around the use of traditional instrumentation – piano, strings, voice – and augmented with often subtle electronic processing and digital samples creating a rich, rolling sound that is at once warm and melodic while tracing unexpected musical trajectories.